»House, Garden and Dogs»Remembrance, RFDS and watering the garden. Remembrance, RFDS and watering the garden. function until lunch and then heading over to the Foreshore to assist if required. The back garden is still a disaster area but the front is doing well. 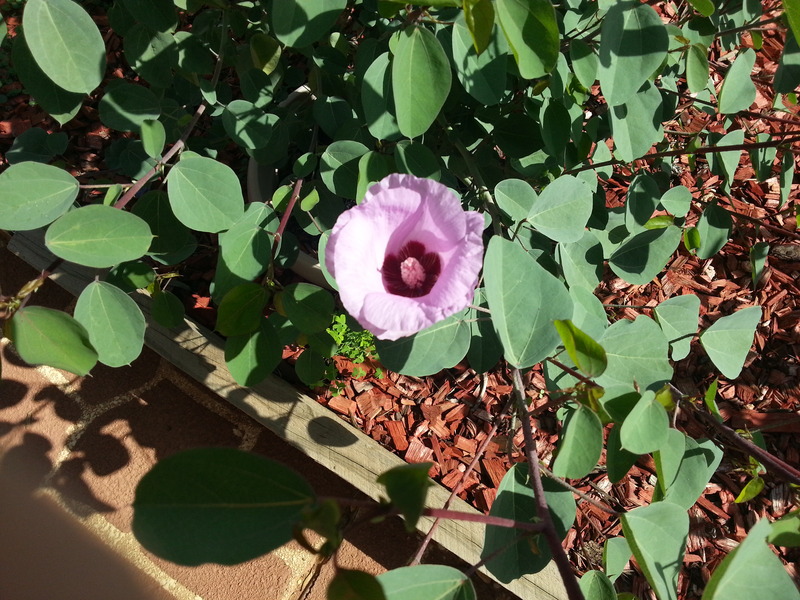 The Sturts Desert Rose is producing flowers, the Sturt’s Desert Pea is growing away good style and the three small conifers I planted some months ago are still with us. They have not really grown much, but at least they are still alive – which is something. I would like to redo the plot with new topsoil so I might give that some thought and see if it will improve things. But I think the important thing is to make it dog proof. I think part of the trouble in this area of the back is that the dogs are doing their thing to help by personally watering the plants. The experiment with the propagation sand was a bit of a fizzier. I have bought new fencing which I will put around the area I want to plant in. It should be high enough to keep the dogs out and let me have the fun of watering things on my own – without any help. When we finished the function at the Hardware Shop, I made my way to the Foreshore to assist at the other function and was there until after 4pm. So, from 08:30 – 4:00 it was a long and tiring day. I was quite happy to get my feet up for a bit. Sunday evening and we have the Clan for Dinner, which is something of a tradition. Well I think it’s a tradition with everyone that has children – they grow up – leave home then came back each week for Mum’s Sunday Dinner. I like this because it’s what we used to go with our parents when we were children – every Sunday we would take turns visiting the relatives and finally, after a while, they all met at our house – about every five weeks or so – and yes, we have been round to the boys places for dinner. I like that.